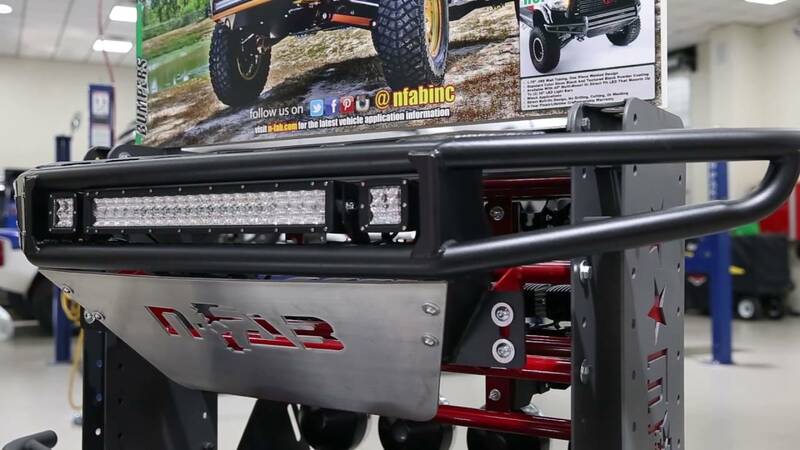 The N-FAB M-RDS Prerunner front bumper follows the line of the front of your truck to create an extremely clean and aggressive pre-runner look. The new Multi-Mount system allows you to mount various combinations of LED lights. This RDS Bumper is a two-part system with bumper aluminum lower skid plate*, available as a complete kit. Each bumper is made in the U.S., with a .095 wall steel tubing and includes a 5-year finish and lifetime craftsmanship warranty. N-FAB M-RDS Prerunner front bumper installs at home by following the installation instructions. There is some cutting to install. The product comes with easy to understand vehicle specific installation instructions. Constructed with durable steel, N-FAB roof mounts make your Truck or SUV light bar look good. The EpYx drop down step provides a sleek and polished aesthetic to your vehicle. The expanded step plate offers the ultimate ease of access to any vehicle.